TO SUBTLE AND ALLURING ARRANGEMENTS. Flown in from Holland or freshly hand-cut locally, artisan-arranged and hand-delivered to your yacht is where it all begins. 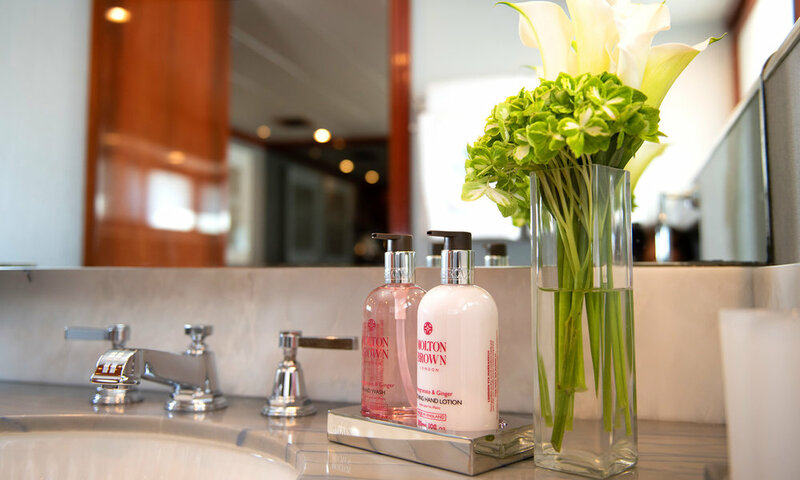 When designing sea-going arrangements there are a lot of considerations to keep in mind: the motion of the ocean, something that compliments the sea, the yacht's interior décor, the yacht's size, and the yacht owners' or guests' preferences just to name a few. Only the finest quality flowers are chosen for your distinguished and elite guests. 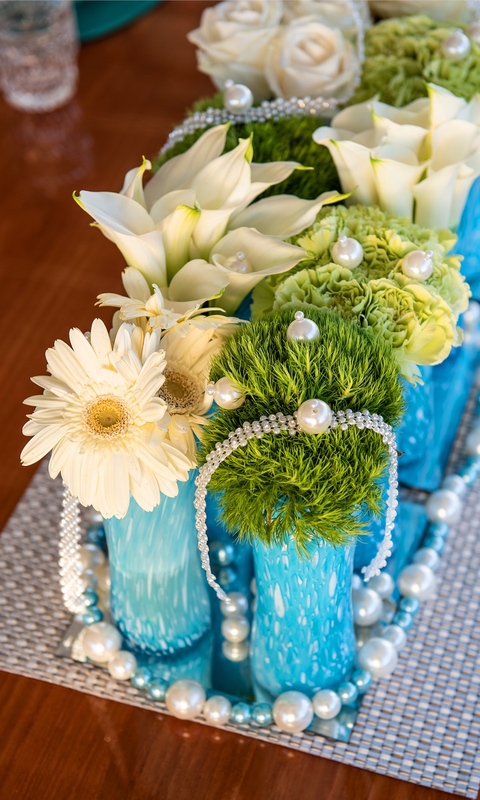 Our bouquets make your yacht come to life. 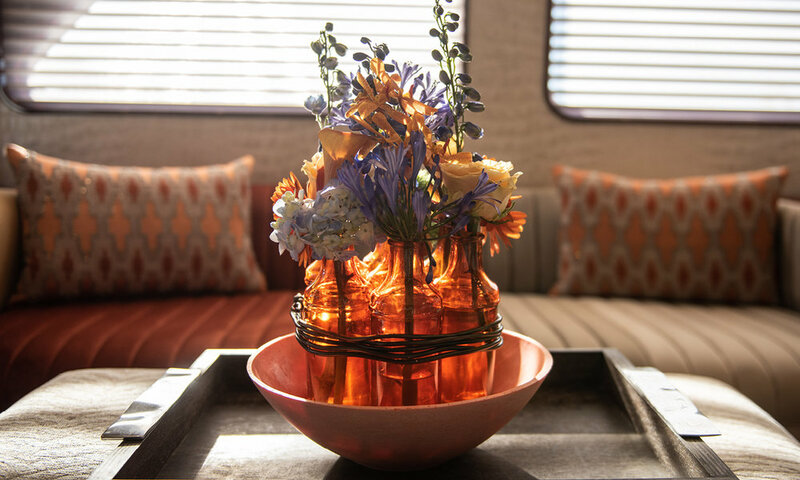 From delicate to opulent designs flowers add grace and elegance to your magnificent vessel. 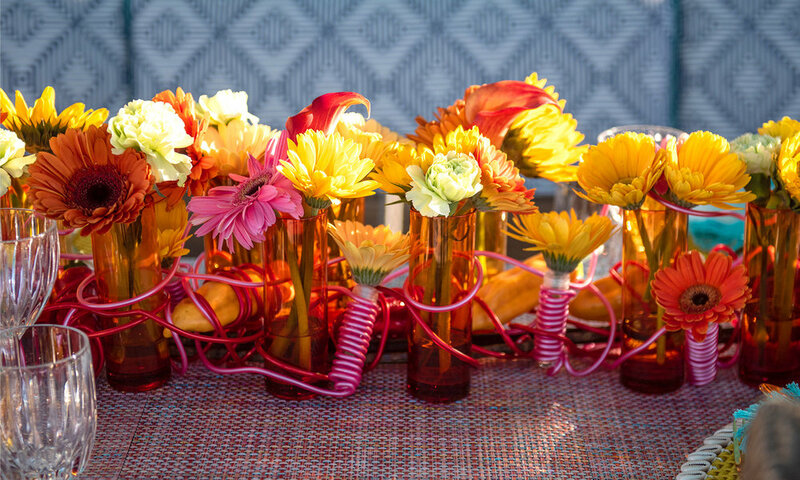 Themed events are an added element of surprise and merriment which carries over to our customer themed designs. Themes allow our European Master Florists an array of ideas that transform flowers into a work of outstanding artistry. Our florists’ education training and expertise come together to take floral designs to the highest level. 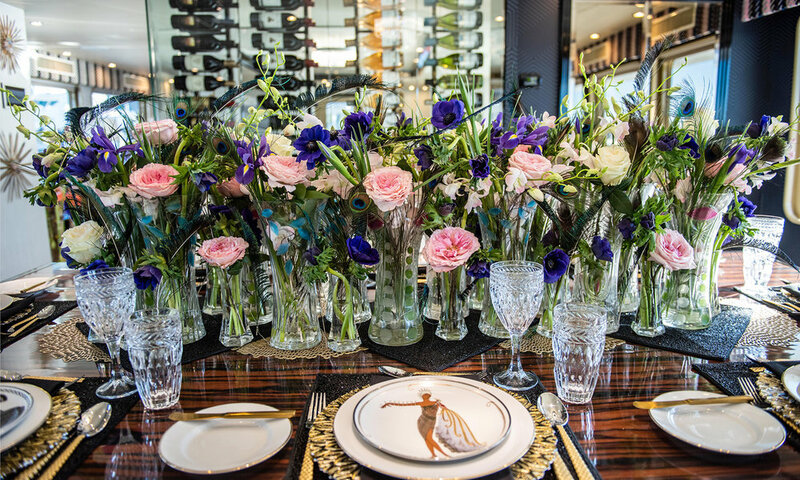 Dianthus Miami can transform your yacht into an exquisite living, floating, floral art gallery. 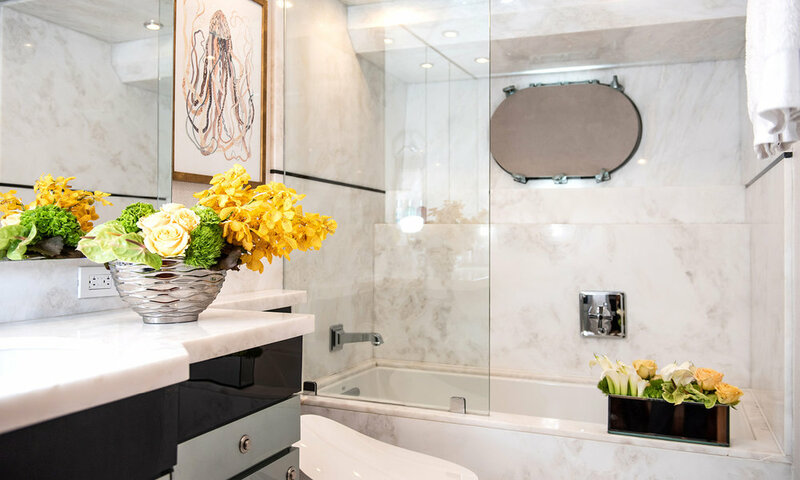 Attention to detail, an eye for design, over two decades of experience on sea-going creations, and award-winning designers of floral designs all goes into creating your one-of-a-kind arrangement. Dianthus Miami were great to work with. From the moment we first met to discuss concepts and themes for our Fort Lauderdale Winter Brokers’ Open House, they were professional, helpful and creative. 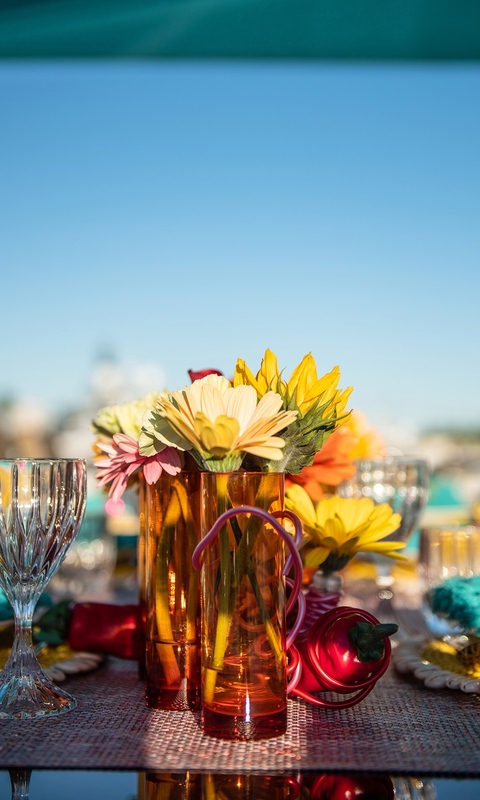 They went above and beyond, decorating all decks with fabulous flower arrangements, center pieces and plants. From the blooms to the vases, the installations, and take-down support, their expertise and attention to detail were unsurpassed..
WE'LL MAKE THE DREAM COME TRUE. 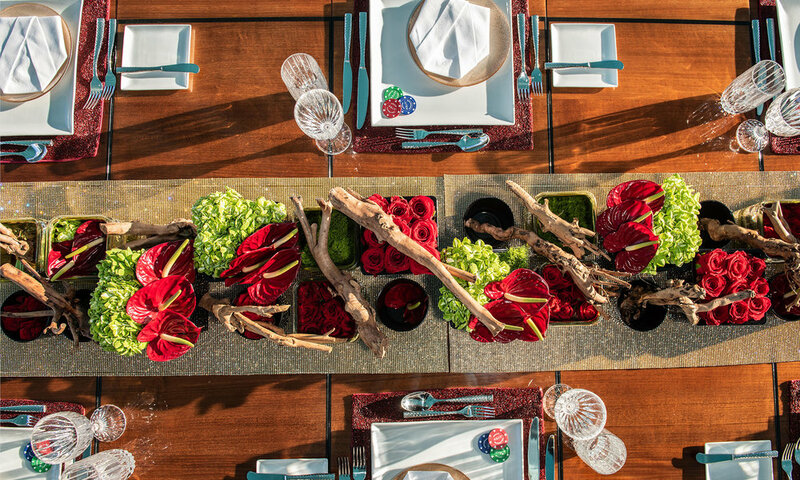 DESIGN EXQUISITE FLORAL ARRANGEMENTS AND INSTALLATIONS FOR YOUR YACHT. 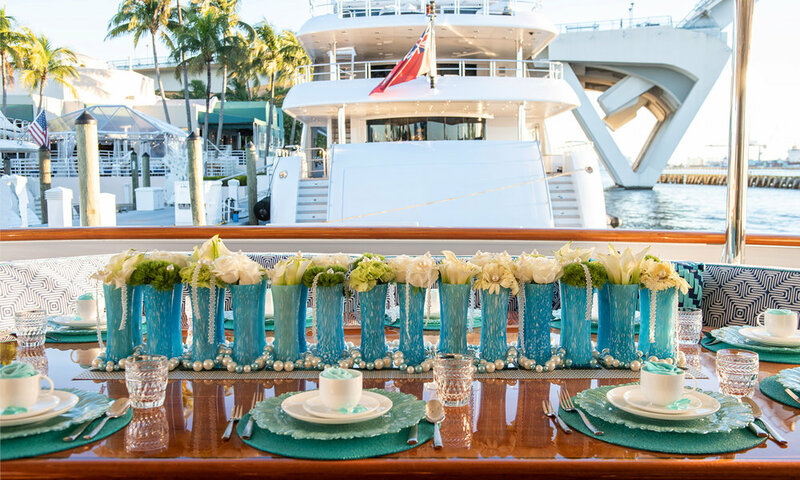 The sky’s the limit and the seas encompass the globe; that is where Dianthus Miami begins visualizing your perfect design to compliment and add sophistication to your themed events. 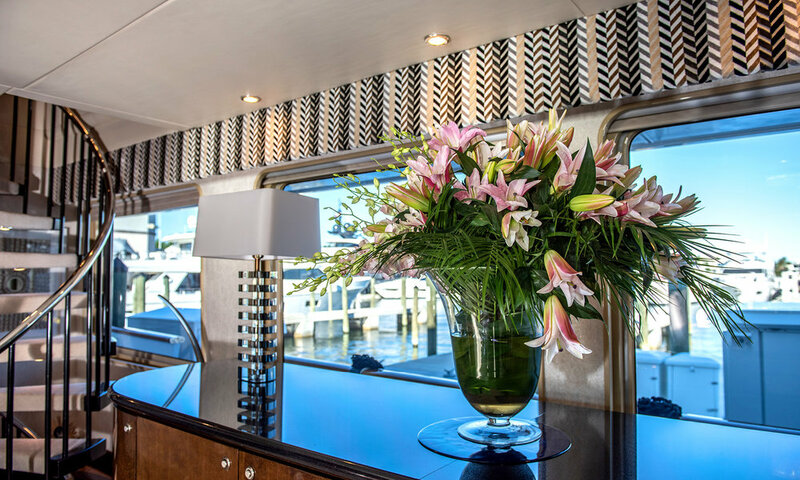 Yacht flowers are the perfect compliment to a yacht’s superb interior décor and offer a special touch of gracious luxury and elegance. We are experienced in working with Owners, Captains, Stewardesses, Crew, Yacht Sales Brokers, Yacht Charter Brokers, Yacht Managers and many other professionals in the yachting industry to ensure that your floral project is designed and delivered to your satisfaction, form concept to completion. Whether you have a specific theme in mind or need a little help with inspiration, we’re here for you! PEOPLE ACTUALLY START EXCHANGING WORDS.